I suppose this post is better late than never! If you're a regular reader you will know that I have taken a rest from blogging over the last few weeks, read why, here. 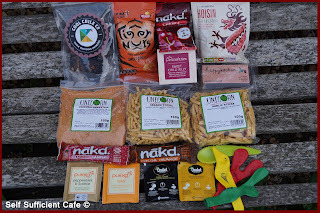 Unfortunately that meant that I never got round to blogging about my June Vegan Swap box from Heather in Manchester, which is a dire shame as it was fabulous. It really was like having a birthday present as Heather had included balloons. These came in handy for Marco's first birthday party! Yes I know a birthday party for a dog - so what? What a box! 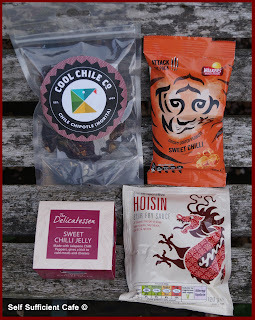 I've heard lots about the Cool Chilli Company and I can't wait to see them at the London vegfest, which I'm so hoping to go to this year. Especially since I missed out on the Brighton and Bristol vegfests! The Walkers Sweet Chilli Peanuts were the first to be devoured, and that was just after I'd taken the photographs. I'm ashamed to say it but later that night I started the sesame sticks too. I did hold off eating them all in one go though although they didn't last the week! The garlic sticks were also yummy and these were devoured on a camping trip in Dorset whilst playing cards - Cribbage. 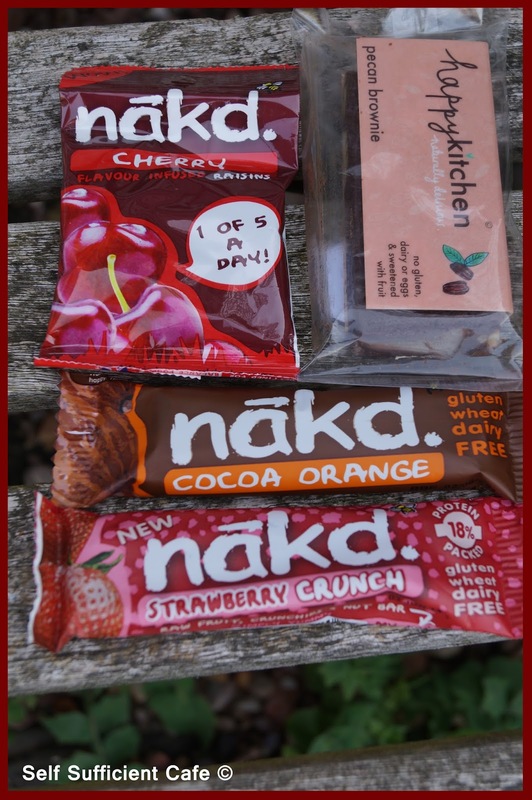 I absolutely love the Strawberry Crunch Nakd bar it is without doubt my favourite one, closely followed by the cocoa orange flavour which was my favourite until the Strawberry Crunch came out! Both of these along with the Nakd cherry raisins were eaten as work snacks but not in the same day of course. That would be a bit piggy! I used the sweet chilli jam in a stir fry believe it or not, hubby actually said it was the best stir fry I had cooked him, he's not a great lover of stir fry's full stop! It's just a shame that I didn't write down what I did or what I used! It was a make up as you go along tea which a lot of my cooking is. 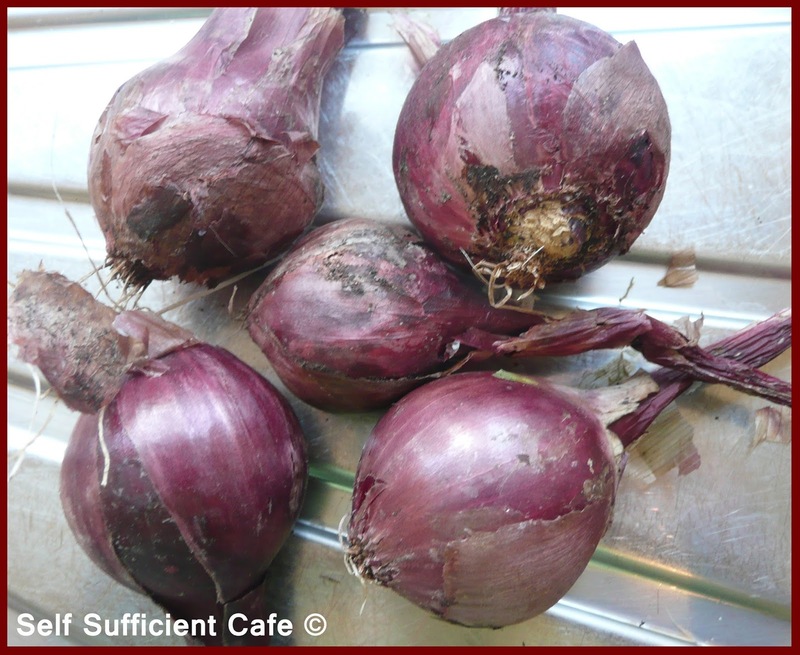 Sometimes they turn out well and other times the bin (or compost heap) gets the food! On this occasion we were both so hungry that I didn't even have pen and paper at the ready let alone write down what I was doing! Oh well, it's a recipe that I shall have to try and recreate one day and post here. I've yet to try the gravy browning, pecan brownie and the peppermint and liquorice tea, but give me time and they will all be tried. 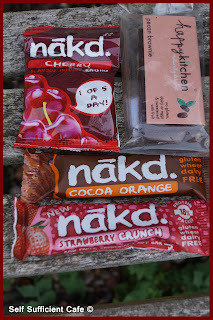 You can read about what I sent my swap box partner, Miss Chaela-Boo on her blog, she has given me an awesome write up. Thanks Miss Chaela-Boo! You really must check out her blog, her paintings are fabulous. Vegan Mofo is only around the corner and a quick update on the bean front. I have harvested yet more beans from my garden this morning, they keep on coming . 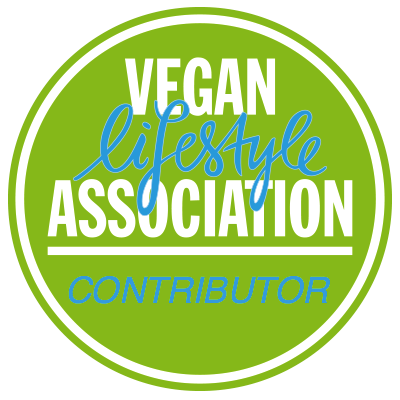 . .
OK, so I've registered for vegan mofo this year (arghhh what have I done?) 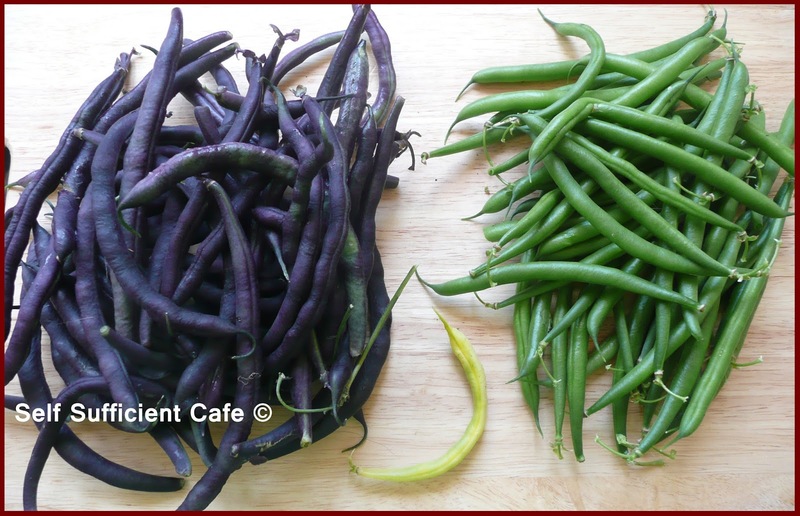 and because I have a glut of beans from my garden I registered that my blogging theme was beans! What was I thinking? The category I selected was comfort food but most of my recipes will be healthy or have a healthy element. Because I was registering on the final day of registration I made a snap decision and if I'm honest I didn't read the rest of the post. Post registration I read more and thanks to Vegan in Brighton blogging about this years event on the Vegan Mofo website I have since found out that the official Vegan Mofo 2013 Daily Themes are . . . . . .
TV Tuesday – Eat and Watch, cook a meal featured in your favourite movie or TV show. 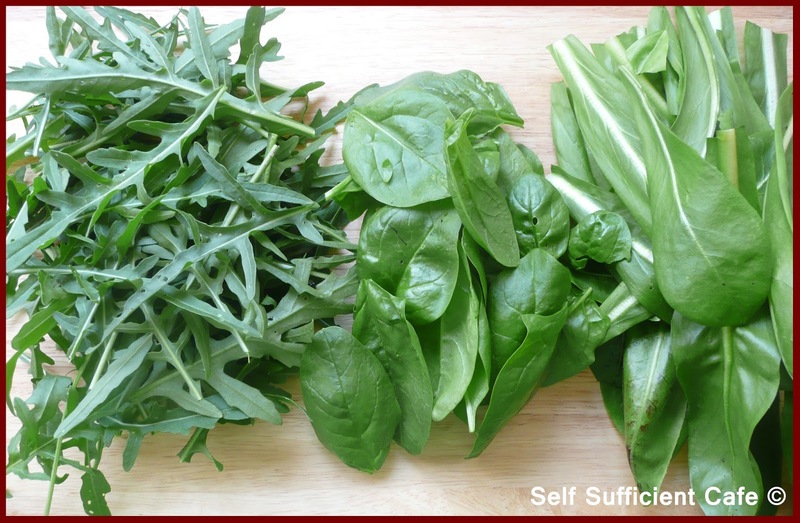 Work With it Wednesday – Focusing on a food you don’t love and learning to love, or at least tolerate, it. Thankful Thursday – Focusing on the positive and giving to others. Freaky Friday* – Trade with a fellow blogger for the day. Retro Saturday – Dress up and veganise your favourite retro dishes. Sleepy Sundays – Your favourite breakfast, brunch and lazin’ in bed snacks. So the question is how on earth do I meet the above daily themes with beans! Thankfully you don't have to use the above ideas but I'm going to give it my best shot, after all the above themes are 'official'. 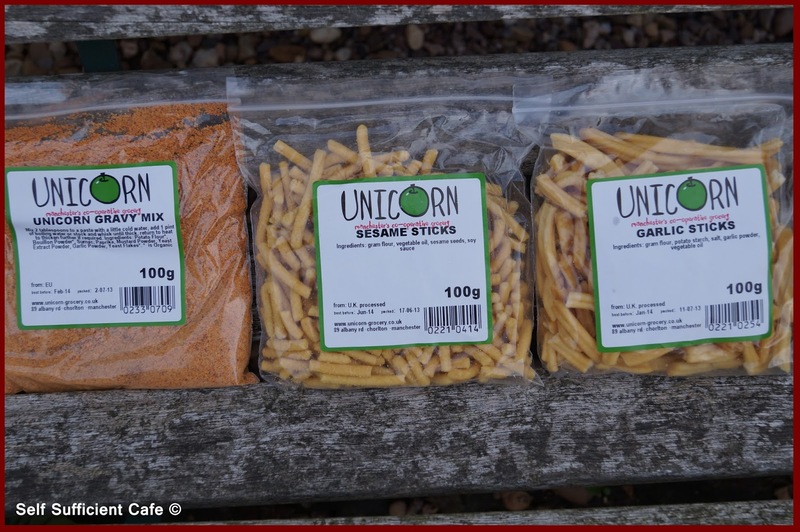 * I'm not 100% sure what the Freaky Friday theme is but the theme on my blog will be Fry-Day, where all things fried happen in the kitchen, whether that is stir fried, deep fried or just simply fried. See, comfort food! Right then, I best go, sit down and plan what I'm going to cook and when, wish me luck . . . . 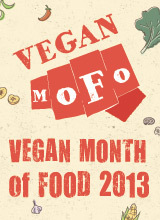 Many thanks to Amanda Chronister for doing the Vegan Mofo banners, they're awesome. Yesterday, after a long break I blogged for the first time in ages and it kicked me back into action. I have promised myself that I wouldn't blog everyday but with vegan mofo round the corner I'm practicing! 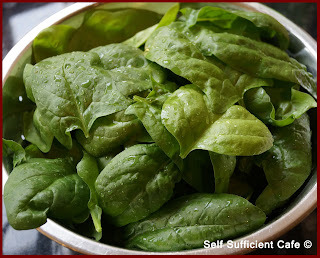 I have managed to grow an awful lot of spinach this year and the butterflies and caterpillars have left it well alone. 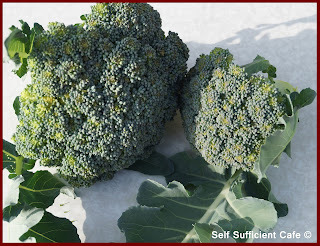 I wish I could say the same for my kale mind you! 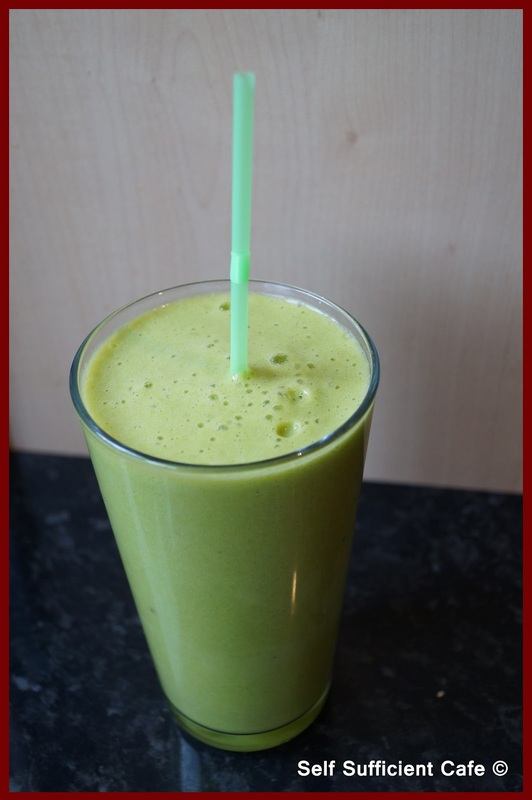 After making everything spinach, from dhal to stir fries and curries (recipes to come), I decided I needed it for breakfast to super start my day and here it is, pineapple and spinach smoothie. I've put spinach in a smoothie before - try out my green Caribbean smoothie and I promise you won't taste the spinach, it just makes it a wonderful green colour. 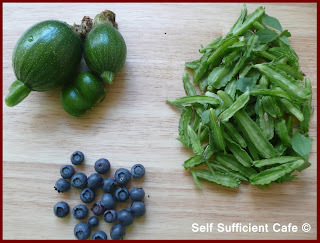 Add all the ingredients to a blender and press the button after you've put the lid on of course! I can't believe its been so long since I last posted. What have I been doing and what have I been up to which didn't give me the time to blog? Well, work has been ridiculously busy, too busy in fact, some people would say I had no life! And they'd be true in part, it didn't give me a lot of time to enjoy what I like doing. But I'm happy to say I did find the time to fit in a camping holiday with hubby and Marco, Marco's first birthday and a party to celebrate, a wedding weekend in Pembrokeshire and lots of gardening! If you cast your minds back to earlier this year (April) my gardening angel gave me lots of vegetable plants, which kicked me into action and I have been reaping the rewards ever since. I've kept on top of the weeding and lawn mowing too, fixed my Buddha fountain which has now spring another leek and made myself a promise I'll be more organised next year! I've also taken some of my own advice, a first, and decided that I wouldn't put pressure on myself and blog everyday. Well that is going to be broken from the start as I've just signed up for Vegan Mofo! I'm getting nervous already. I hadn't realised it took part during the month of September and therefore I have done no preparation work for it whatsoever. So I've already put pressure on myself, oh well it'll be fun too, I hope! Right best put a plan in action and start preparing for vegan mofo. 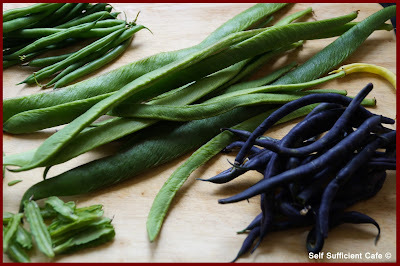 I'm thinking of a bean theme, purely as I have a humongous glut of them from my garden. Watch this space . . . . . . 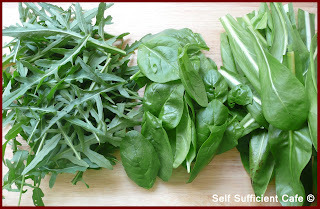 Here is a very small sample of what I've harvested from my back garden. The beans, spinach, chard and asparagus peas have bean the most prolific!